DeviantArtist Robert Rath takes a look at what the Guardians of the Galaxy might look like if the Guardians included Han Solo, Princess Leia, and Chewbacca. But the Stormtroopers are coming up fast behind them and Darth Nagol stands in their way. Maybe time for a pop song! 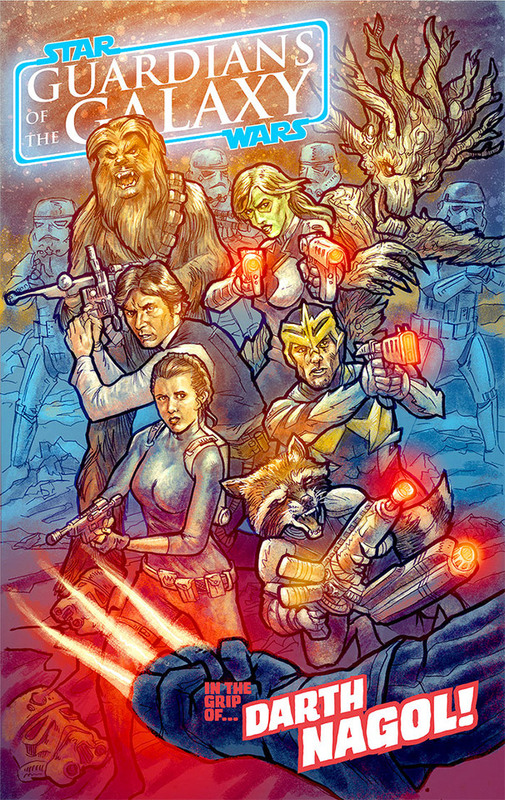 If you like this, be sure to check out this Star Wars/Guardians of the Galaxy mashup trailer. Or this one.